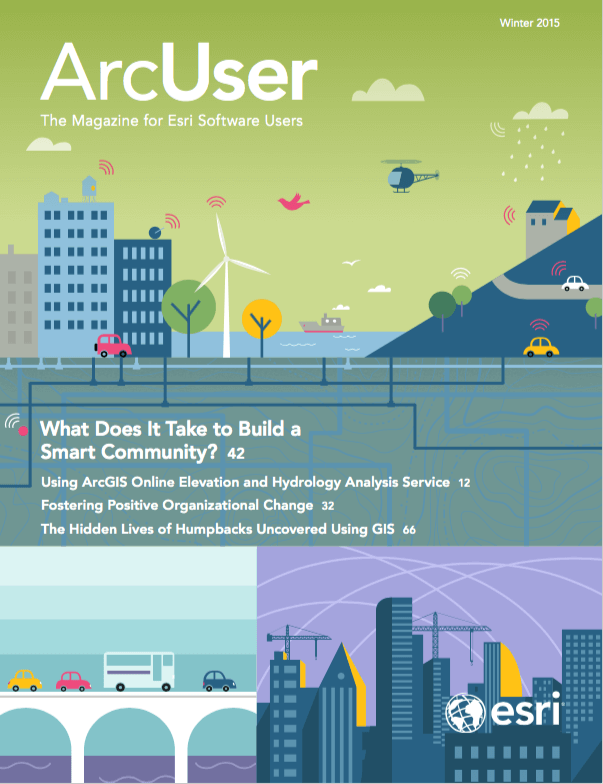 In September 2014, Esri offered a massive open online course (MOOC) that let learners test-drive the spatial analysis capabilities of ArcGIS Online. Following the success of that pilot course, Going Places with Spatial Analysis, enrollment in the MOOC has been increased and the course will be offered two or three times in 2015, depending on demand. Another MOOC is also planned. Going Places with Spatial Analysis is a six-week online course that includes free access to an ArcGIS Online organizational account. Initially 1,200 students were invited to sign up. Of the 800 students who registered, 600 participated actively, and 200 completed all course content. This is a higher completion rate than most MOOCs. Although most higher education institutions use the ArcGIS platform to some extent and many maintain Esri education site licenses, GIS is concentrated in a few departments. Most college students never encounter GIS during their college careers. MOOCs provide a channel for reaching students in disciplines that do not traditionally include mapping and GIS. MOOCs are different than other Esri educational offerings. Instead of serving people who already use GIS, these courses reach people who may not know what GIS is or haven’t heard of Esri. They are a low-cost, low-risk method of engaging people who are curious about the power of spatial thinking and geospatial technologies. This format also appeals to the thousands of current students and recent graduates who seek a competitive edge in the job market. Esri sees MOOCs as complementing offerings by colleges and universities, not competing with them. Educators can use these no-cost, noncredit MOOCs as assignments or supplementary activities for credit courses. Esri also provides technology and staff support to institutions that request it for their own MOOCs. The primary audience envisioned for this first MOOC course was tech-savvy young professionals already familiar with data analysis who want to learn more about the special capabilities of spatial data analysis. In October 2014, more than 10,000 people were invited to join the second offering of Going Places and more than 3,500 participated actively. Students included experienced ArcGIS users as well as those new to Esri software. Current students and recent graduates of business schools are the target audience for the second MOOC currently under development. It will be designed to demonstrate to business school graduates how location analytics make them more attractive to potential employers. At the conclusion of each MOOC, some additional steps are suggested. Students may take self-paced web courses and seminars offered by Esri’s Training Services Group or access the case-based self-study modules available at Learn GIS, Esri’s newest education website. They can also purchase a year’s license for ArcGIS for Home Use. This enables anyone to run ArcGIS for Desktop on a personal computer for noncommercial use and comes with an ArcGIS Online subscription account. Esri staff are also happy to discuss formal education opportunities at leading institutions, both online and on campus.